Stone Sports Management LLC is excited to announce Tiago Calvano's 2-year contract with Harrisburg City Islanders. The 35-year-old Brazilian moves to the USL after spending the last three seasons with Minnesota United FC, where he made more than 60 appearances for the Loons. His Minnesota United FC highlights included winning the Spring 2014 NASL Championship, 2014 Best XI selection, making the NASL Playoffs twice and wearing the Captain's armband. 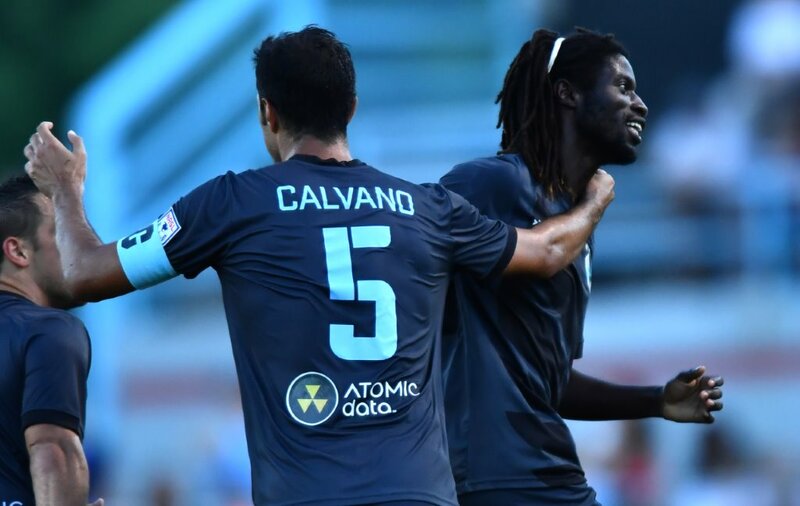 The City Islanders targeted Calvano for his leadership and experience which will make him one of the highest profiled players to play for Pennyslvania's capital club. Calvano emerged with Brazilian giants Botafogo before headnig to Italy with AC Perugia and later to Spain with Barcelona B. His European career spanned stints in Switzerland (BSC Young Boys), Germany (MSV Duisburg, Fortuna Dusseldorf) and Australia (Sydney FC). "I chose Harrisburg City Islanders for its tradition, and I was impressed with the Club's current ambition and the President's vision for the future," says Calvano. "After speaking with the staff and seeing their passion for tis organization, I was impressed and knew that it was a place that I would enjoy helping contribute. I am looking forward to the challenges for the USL season, meeting the fans, my teammates and integrating into the community!" Despite several options, the City Islanders aggressively pursued Calvano and convinced him that it was the right place for his on-field playing career and future. It also helped that the City Islander's new ownership group, Capelli Sport, has deep ties to one of Calvano's former clubs, MSV Duisburg in Germany. "Harrisburg City Islanders are making a statement signing by bringing Tiago to Harrisburg," remarked SSM's President and USSF Licensed Intermediary Justin B. Stone. 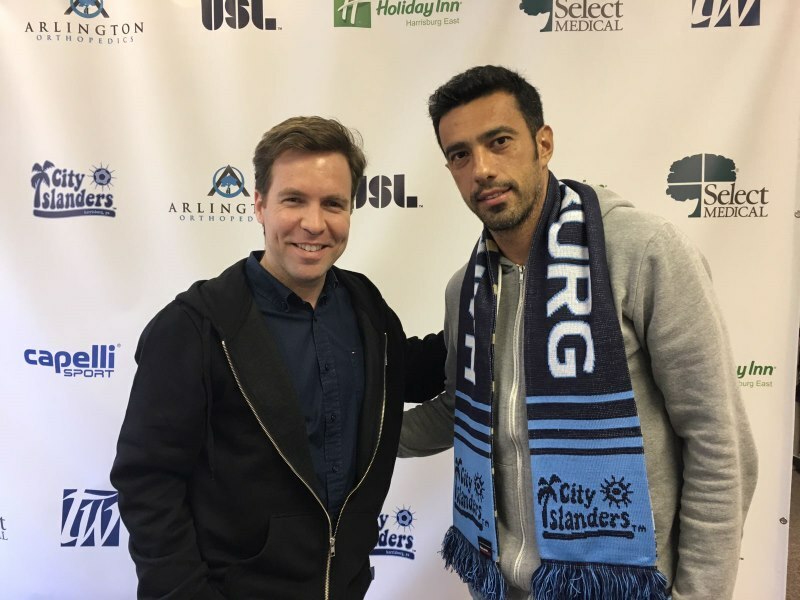 "I want to thank the City Islanders' President Tiago Lopes and Head Coach Bill Becher for their patience and persistence with bringing Tiago to Harrisburg. There is a new standard in Harrisburg, and I am confident that Tiago will help the club reach new heights on and off the field." Calvano has already joined the Islanders for pre-season and will be kicking off its 2017 USL Season on the road against the Richmond Kickers this weekend. Click HERE for the City Islanders' schedule. From developmental to Designated Players, Stone Sports Management, LLC is a Columbus, Ohio based boutique sports agency representing football/soccer players domestically and internationally. Led by President and USSF Licensed Intermediary Justin B. Stone, SSM has established itself as a leading North American agency since its 2008 inception by taking a cooperative approach to athlete representation, which provides increased opportunities for its clients. After gaining trust from clients representing over 75 nationalities, Mr. Stone has negotiated more than 140 contracts for his clients based in Belgium, Canada, China, Cyprus, Egypt, Finland, Germany, Hungary, Ireland, Israel, New Zealand, Poland, Portugal, Sweden, Switzerland, Thailand and the United States, including more than 20 International clients to MLS/NASL/USL. After more than 60 appearances for Minnesota United FC, Tiago Calvano is moving on after agreeing to a mutual termination. The 35 year-old Brazilian joined the Loons in February 2014 and immediately made an impact helping the club to the Spring 2014 NASL Championship and would later be named to the NASL Best XI and Golden Ball nominee. In response to his stellar play that season, Minnesota United FC extended him for an additional two seasons while the club's uncertain future whether it would join MLS loomed. Calvano wore the Captain's armband on numerous occasions, participated in the NASL Playoffs and integrated well in the Twin Cities' community. Other highlights included playing friendlies against Swansea and AFC Bournemouth as well as obtaining his US Permanent Residency a/ka US Green Card. "Tiago has been a consummate professional throughout his time with Minnesota and played an important role in the club's development," remarked SSM's President and USSF Licensed Intermediary Justin B. Stone. "Although his Minnesota United FC chapter closes on the playing front, a new and exciting project begins for Tiago, and the mutual respect between the Club and Player leaves the door open in the future." Below is Calvano's goodbye note. 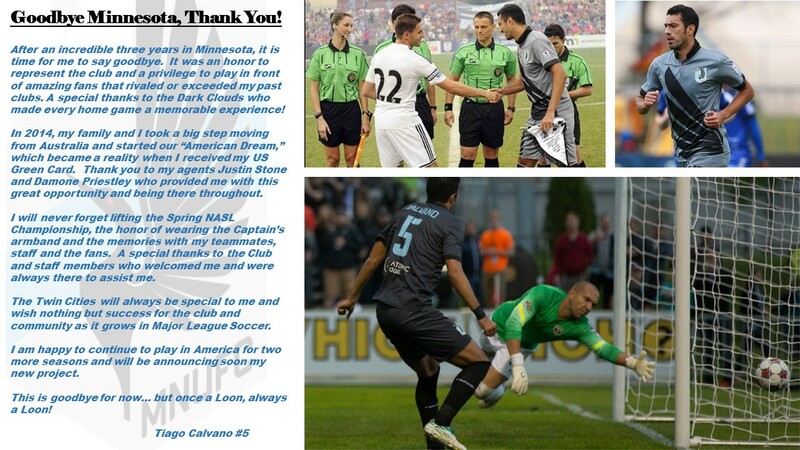 SSM would like to echo his remarks and thank those with Minnesota United FC throughout these past years. Stay tuned to learn which club Calvano will sign with for the 2017 season! After an incredible three years in Minnesota, it is time for me to say goodbye. It was an honor to represent the club and a privilege to play in front of amazing fans that rivaled or exceeded my past clubs. A special thanks to the Dark Clouds who made every home game a memorable experience! In 2014, my family and I took a big step moving from Australia and started our “American Dream,” which became a reality when I received my US Green Card. Thank you to my agents Justin Stone and Damone Priestley who provided me with this great opportunity and being there throughout. I will never forget lifting the Spring NASL Championship, the honor of wearing the Captain’s armband and the memories with my teammates, staff and the fans. A special thanks to the Club and staff members who welcomed me and were always there to assist me. The Twin Cities will always be special to me and wish nothing but success for the club and community as it grows in Major League Soccer. I am happy to continue to play in America for two more seasons and will be announcing soon my new project. This is goodbye for now… but once a Loon, always a Loon! Stone Sports Management would like to congratulate Montreal Impact Captain Patrice Bernier for his stellar performance in the Big Apple and MLS naming him to the Team of the Week (3). Not only did Bernier provide the Impact's game-tying assist on a well flighted long ball over the top to Dominic Oduro, but he had a incredible 93% passing accurany, including three Key Passes. He also made several important recoveries and showed a skillset when he performed a "Sombrero" over Andres Pirlo getting out of his own box area. Bernier now leads all MLS players with three assists in three matches and went the full 90 minutes for the first time this season. Also Bernier earned club milestones with his 200 game played and over 15,000 minutes played. Check out his Opta game statistics and watch his Sombrero! Congrats again Patrice and looking forward to seeing more impactful performances! 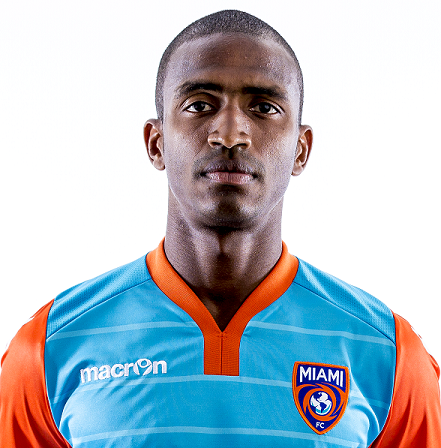 Stone Sports Management LLC ("SSM") would like to recognize Brazilian defender Adailton dos Santos Filho's fantatsic career as he announces his retirment with Miami FC. The 33 year-old Brazilian entered his second year with the NASL franchise after signing in February 2016 and decided to hang up the boots due to physical limitations. Adailton first came to the United States when he signed with the Chicago Fire after spanning the globe playing for top divisions in Brazil, France, Switzerland and China. "This is a bittersweet day because Adailton loves football and being around the game," reflected SSM's President and USSF Licensed Intermediary Justin B. Stone. "I am honored to call Adailton a friend and gained his trust to negotiate his final two contracts with MLS (Chicago Fire) and Miami FC. I want to thank Miami FC for their understanding and admiration for Adailton. He has touched many lives with his fantatsic character and empathy for others. I am confident that he will transition these qualities into a new role within the game and have an even greater impact that his fantatstic career!" Thank you Adailton and all the best to you and your familyin retirement! SSM looks forward to "keeping in touch!" Stone Sports Management LLC ("SSM") is pleased to announce Jérôme Thiesson's transfer from Swiss Super League FC Luzern to Minnesota United FC. The 29-year-old Swiss defender becomes one of the most experienced outside backs in Major League Soccer with over 350 professional matches. The Loons have secured Thiesson's services through the 2018 season with a 2019 Option, and he will join his Minnesota United teammates as soon as he receives his P1-visa in hopes of doing so before the March 3, 2017 season opener against the Portland Timbers. "I am honored to be one of the select internationals that Minnesota United FC has chosen to be part of its inaugural season," reflected Thiesson. "This unique experience to start a project from the beginning is not possible in Europe and so it made my difficult decision to leave FC Luzern easier. I want to thank the FC Luzern and its fans for my five and a half fantastic years at the club and applaud the administration for supporting my wish to come to Major League Soccer. I also want to recognize Head Coach Adrian Heath, Sporting Director Manny Lagos and Director of Soccer Amos Magee for their courtship and making me feel welcomed." Thiesson signed with FC Luzern in summer 2011 and averaged over 30 games per season. In 2016/2017, Thiesson played in 10 matches and returned to the lineup and started in a 4-1 win against BSC Young Boys, which would turn out to be his last match for FC Luzern. In his professional career that started in 2005/2006 with FC Zurich, Thiesson has primarily played right back but also has significant experience as a left back and has also featured as right midfielder, defensive midfielder and a central defender in a 3-man back line. Prior to signing with FC Luzern, he featured in 85 matches with now defunct AC Bellinzona, including one season entirely as a left back under former Montreal Impact Head Coach Marco Schillibaum. From 2007 until 2009, Thiesson played for FC Wil 1900 before moving to the Swiss Super League with AC Bellinzona in January 2009. Thiesson's versatility will immediately provide options for Coach Heath along the backline. "With Minnesota United FC looking to add a versatile, veteran defender, I am glad they recognized Thiesson's abilities and experience to help compliment a diverse roster that looks to make its mark in MLS for its expansion season," remarked SSM's President and USSF Licensed Intermediary Justin B. Stone. "Minnesota United FC is getting a player who has fantastic character, and I am excited for him and his wife to experience a new competition and culture." Thiesson becomes SSM's first international right back signing in MLS and marks MLS's second signing this window from FC Luzern. SSM would like to congratulate Jérôme, his wife and the entire Minnesota United FC organization on this signing and wishes them the best during the 2017 inaugural season and beyond! Click HERE for Minnesota United FC's inaugural season schedule and enjoy highlights below! Stone Sports Management LLC ("SSM") is pleased to announce Goalkeeper Caleb Patterson-Sewell's return to the NASL with the Jacksonville Armada for the 2017 and 2018 seasons. The Armada purchased Caleb from Portuguese side Farense where helped them to a promotion position by only giving up 6 goals in 13 games and posting 7 clean sheets (53.9%). Caleb looks to make his mark within the NASL as the Armada's first choice Goalkeeper, after starting the 2016 with last year's disaster club, Rayo OKC. The 29 year-old Tennessee native has experience in North America with the Carolina Railhawks (2011), Miami FC (2010), New York Red Bulls (2008) and Cleveland City Stars. After the 2011 season, he departed to Portugal with Atletico Portugal where he had a standout season and was a Portuguese League for Professional Football (LPFP) Goalkeeper of the Year Finalist. Caleb would then transfer to Portuguese Superliga club Vitoria Setubal where he would play against league giants Sporting Lisbon, Benfica and SC Braga. After one season with Setubal, he transferred to Gil Vicente and spent the next two seasons in the Portuguese Superliga. "My family and I are delighted to join the Armada and to return to the States after spending the last six months in Portugal," reflected Caleb. "I am extremely excited to work under Head Coach Mark Lowery and Goalkeeper Coach Daryl Sattler, who along with Technical Director Nathan Walter, made me feel welcomed during the recruitment process and made me want to join this project. I want to thank each of them for their patience and persistent efforts to bring me on board and cannot wait to meet my new teammates, the fans and integrate into the community and do my part to make the 2017 season a success." 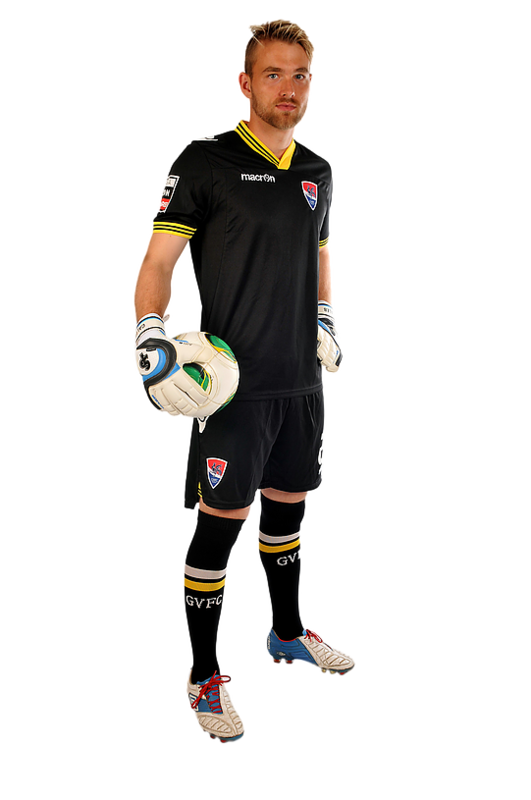 Caleb is one of a few domestic Goalkeepers to have had experience at Europe's top academies (Liverpool, Sheffield Wednesday and Anderlecht), USL, NASL and Europe. Caleb was part of the record-breaking 2010 Carolina Railhawks team and was on the bench for 2008 MLS Cup where the Red Bulls lost to Columbus Crew at the Home Depot Center in Carson, California. "I want to echo Caleb's comments and thank everyone at the Armada for their hard work and persistence getting this signing over the link," remarked SSM's President and USSF Licensed Intermediary Justin B. Stone. "Caleb is really focused on getting in with the group and back on the pitch in the NASL." Click HERE to see Jacksonville Armada's 2017 season schedule. SSM would like to wish Caleb well this season and his new start in Florida! Stone Sports Management ("SSM") congratulates Amobi Okugo on signing a new MLS contract with the Portland Timbers for the 2017 season with a 2018 Option. The 25 year-old Sacramento, California native will enter his 8th MLS season after spending the 2016 season with the Timbers. Coach Caleb Porter will rely on Okugo's versatility to play central defender and defensive midfielder for the Timbers who will look to bounce back from missing the 2016 MLS Playoffs after capturing MLS Cup in 2015. Okugo joins his teammates today in Portland to begin pre-season. "I am excited to return to Portland and grateful for the opportunity this wonderful organization has provided me, to join my teammates for a proper pre-season and to play in front of the best fans in MLS," says Okugo. "The Timbers and the Portland community have been welcoming ever since I arrived, and I want to thank Coach Caleb Porter and his staff for having the confidence in me to return and to General Manager Gavin Wilkinson, MLS and my agent for working hard behind to scenes to finalize a solution so that I can begin pre-season timely. The Timbers Army and all Timbers' fans deserve more trophies this season, and I will do my best to help the team achieve its goals, earn clean sheets and hopefully I can celebrate with Timber Joey and earn a slab or two!" After a nomadic start to the 2016 season that prevented him from particiating in pre-season due to his former club, Sporting KC, waiving him with two years left on his 3-year guaranteed contract, the Timbers signed him in May 2016 (after week 10). After taking time to integrate in the new system and getting back to fitness with the Reserve Team in USL, Okugo would go on to play 7 games between MLS, US Open Cup, CONCACAF Champions League play, including an MLS Team of the Week (22) bench honor. "Amobi will cointue to give us experience and depth in two positoins and when called upon like last year, we know he has the ability to step in and get the job done," said Head Coach Caleb Porter. The Timbers' General Manager and President of Soccer Gavin Wilkinson reflected, "We are pleased to have Amobi back for the 2017 season and look forward to his continued contributions as a versatile and experienced player on our roster." Out of Contract in January 2015 after 5 seasons with the Philadelphia Union (including back to back 32 game seasons) and recognized as one of the best young, domestic talents [MLS 24 Under 24 Talents: #8 (2013) at 22 and #13 (2014) at 23 and ESPN’s US Soccer: 10 to watch under 21 #8 (2012), Okugo elected to re-sign in MLS with Expansion Franchise Orlando City SC (with the club trading for his MLS rights) on a 3-year $1M USD contract. In 2015, after starting the first 9 games and applauded for doing the “grunt work” in midfield and on the USMNT radar, Okugo received a yellow card suspension and replaced by Colombian International Cristian Higuita. Okugo would go on to appear in eight more matches before Sporting KC and Peter Vermes (who coached him with Generation Adidas and praised Okugo for his versatility), traded for him in exchange for Servando Carrasco. After acclimating with his new teammates, Okugo unfortunately suffered a PCL tear (and played on it) during his first start with Sporting KC. Unable to return until a couple months later (and with team selection settled vying for Playoff position), his opportunities were limited as the season ended. "With the Timbers' need at both positions that Amobi has played in his career, Portland was a logical fit for him and for continuity in Coach Porter's system," says SSM's President and USSF Licensed Intermediary Justin B. Stone. "With his contract situation resolved, he can now focus on having a great season and get back to his form a few seasons ago where he was considered one of the best young talents in MLS. I want to thank General Manager Gavin Wilkinson and Coach Caleb Porter for their efforts to ensure that Amobi builds on last season and looking forward to watching Amobi and the Timbers this season." After a stand out Youth National Team and UCLA collegiate career, Okugo was a 2010 MLS Generation adidas ("GA") class member and earned the MLS Combine MVP. At 18, MLS Expansion Franchise Philadelphia Union drafted him as the #6 overall pick and limited his time (12 games) his Rookie Season due to Salary Cap reasons/preventing him from graduating from the GA program. Okugo participated in three U20 USA camps as well as an off-season GA trip to Spain playing against Real Madrid, Rayo Vallecano and Atletico Madrid reserves. In 2013, Okugo earned Philadelphia Union's Team/Defensive MVP under permanent Head Coach John Hackworth (who as interim in June 2012 switched Okugo to central defense to replace former US Men's National Team player Danny Califf and Malian Internatiol Bakary Soumare, for the first time in his career) and started 32 matches, scoring 3 Goals and adding 3 Assists from primarily central defense. At age 23, Hackworth gave Okugo the Captain’s armband after third game of season at teammate Maurice Edu’s suggestion. His consistent play garnered Senior National Team interest after several MLS team of the Week Honors (2013 ToW (33); ToW (31); ToW (25); ToW (18) Bench; ToW (6); 2012 ToW (29); ToW (19). In 2014, expectations grew for Okugo and the Union. In summer, the club sacked Hackworth and replaced him with Jim Curtin who reverted Okugo back into central midfield where he was consistently one of the better players when on the pitch, including scoring in US Open Cup Semi-Final and Man of the Match performance against the Chicago Fire, providing Coach Curtin many options as the season finished. Okugo earned several MLS Team of the Week honors including Team of the Week (13) and Week 1 and Week (2) Benches. In all, Okugo made 117 appearances (101 starts) for the Union between 2010-14. Stone Sports Management (“SSM”) is honored to announce that Major League Soccer’s Montreal Impact have re-signed Patrice Bernier to a one-year contract, which will be the Impact’s Captain’s final season as a player, after completing his 2-year contract signed ahead of the 2015 season. 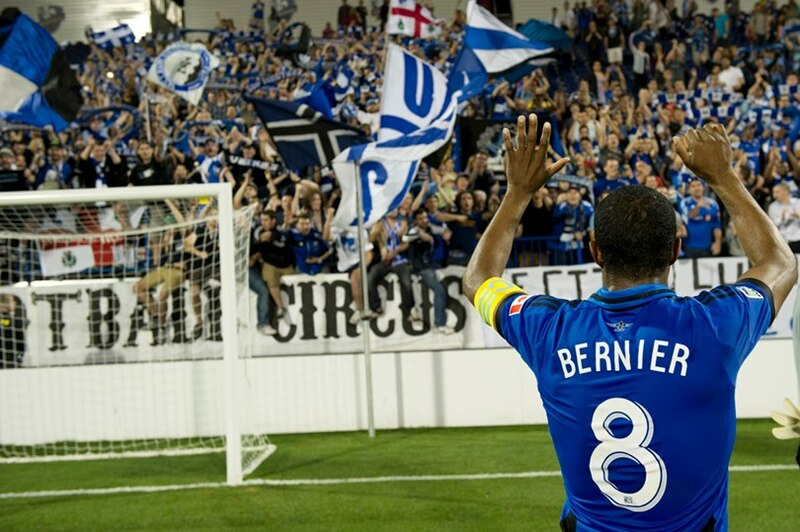 In these two seasons, Bernier proved his worth by helping the Impact to back to back MLS Playoffs, the CONCACAF Champions League Final and to its highest ever league finish. The 37-year old Broussard, Quebec native (who is one of only four MLS players born in the 1970s) will transition off the field in 2018 and continue with the Impact in a coaching role, primarily focused on developing and transitioning the younger players within the Impact Academy and First Team. Bernier will play his final MLS season in 2017 and looks to lead the Impact to obtain MLS Cup glory after progressing each of the last two seasons in the MLS Playoffs. After a mid-season coaching change, Impact Coach Mauro Biello gave Bernier the keys to the Impact midfield where he would help the club finish the regular season with over a 2.0 points per game record and would go on to score 2 goals, including the game-winning goal against Canadian rivals Toronto FC to advance past the MLS Knockout Round (marking the first playoff series the Impact ever won in MLS). After losing a close series in extra time to the eventual 2015 MLS Eastern Conference Champions Columbus Crew, Bernier would return in 2016 with improved performances, increasing his minutes, starts and assists. Once again, Bernier saved some of his best performances for the 2016 MLS Cup Playoffs, including a world-class assist against Toronto FC in front of 61,004 fans at Olympique Stadium. The goal for 2017 is simple – advance to the MLS Cup and lift the Philip F. Anschutz Trophy. After starting his professional career with the Montreal Impact in 2000 when they were part of the United Soccer League, Bernier would ply his trade in Europe. In 2013, he first moved to Norwegian club Moss and later played in four seasons with Trømso where he was considered one of the best foreigners in the league. After a $1.3 million transfer bid from Turkish giants Besiktas was rejected, Bernier eventually moved to the German Bundesliga with Kaiserslautern before moving back to Scandinavia with Denmark’s FC Nordsjaelland and Lyngby and played in 16 UEFA Cup matches throughout his European career. In 2012 after playing the previous four seasons in Denmark with FC Nordsjaelland and Lyngby (including FCN’s 2009-10 Player of the Year), the Impact wisely summoned Bernier back to his hometown club after a 10-year career in Europe to be one of the club’s marquee signings during its transition to MLS. Considered one of the best Quebec players the Province has produced, Bernier immediately showed his worth and earned the Giuseppe Saputo Trophy (awarded to the club’s Team MVP) with an impressive 9 Goal, 8 Assists season (including 4 game-winning assists, MLS August Player of the Month and selected 5 times to the Team of the Week (9, 12, 13-15, 24 and 25). He followed up his debut MLS performance with a 4 Goal, 8 Assist season (leading MLS with 5 game-winning assists), and MLS players, coaches and media recognized his stellar play with a 2013 MLS All-Star game nod against Italian side AS Roma. In 2014, he proudly earned his 50th Canadian National Team cap against Jamaica and helped the Impact win back to back Amway Canadian Championships. The 2015 season also started brightly for Bernier and the Impact. After advancing to the CONCACAF Champions League, the Impact would be showcased in the region’s top tournament after it surprised Santos with a 94th minute goal to beat the Mexican giants and advance to the CONCACAF Final against Club America. After an impressive 2-2 away tie and going up a goal in the home leg in front of a sold-out Olympique Stadium, Club America came back and lifted the trophy. His current 5-year totals are 132 games played, 100 games started, 15 Goals and 24 Assists in over 9,000 minutes played in blue and black. Between his first Impact stint and his 5-year MLS career, Bernier will have played half his career (9 seasons) and participated in over 200 matches in Impact colors. He holds the Impact record for games played and starts for those who have played with both versions of the Impact (Pre-MLS and MLS), most Penalty Kick goals, most MLS assists and looks to build on these numbers in 2017. "“Many people did not expect Patrice to continue to play at a high level after turning 34, but he has proven those doubters wrong, proved his value by accomplishing several individual and team-related performances bonuses, and earned the right to play in his 18th professional season," remarked Stone. “I want to give special thanks to Impact President and Owner Joey Saputo for creating the platform for Patrice and other Montreal players to be able to play at the highest level in North America, while also giving Patrice his due to compete in his final season before transitioning to a club role off the field beginning in 2018,” says Stone. Off the field, Bernier is a community leader and donates his time to charitable causes such as La Fondation de l’OMHM, CHC Fondation’s FACE À FACE DES CÉLÉBRITÉS Charity Hockey match, Coupe Centraide Cup, Rèves d’enfant Foundation, Procure’s Marche COURAGE, among others. In 2012, he earned the Impact’s Communitarian Award. He has also been featured on TV, Radio and other Media outlets promoting the club such as Quebec’s #1 breakfast morning show – Breakfast Television, late night talk show Tout le Monde en Parle, Montreal Canadiens’ Broadcasts, TVA Sports and RDS commentary during MLS Cups and English Premier League matches. Congrats to Patrice Bernier, his family and the Montreal Impact on continuing the Parties’ relationship in 2017 and beyond! Click HERE for the Montreal Impact’s 2017 MLS Schedule to support Patrice’s final season. 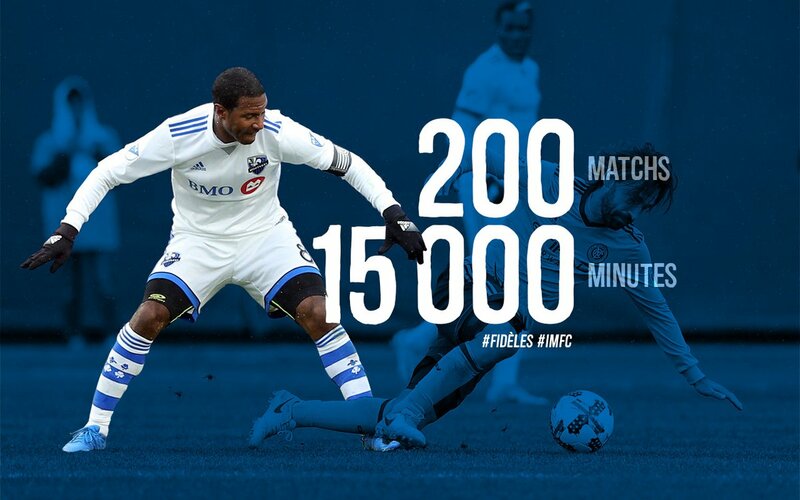 Click HERE to view Patrice Bernier’s club-record 25 MLS assists. From developmental to Designated Players, Stone Sports Management, LLC is a Columbus, Ohio based boutique agency representing football/soccer players domestically and internationally. Led by President and USSF Licensed Intermediary Justin B. Stone, SSM has established itself as a leading North American agency since its 2008 inception by taking a cooperative approach to athlete representation, which provides increased opportunities for its clients. After gaining trust from clients representing over 75 nationalities, Mr. Stone has negotiated more than 140 contracts for his clients with clubs based in Belgium, Canada, China, Cyprus, Egypt, Finland, Germany, Hungary, Ireland, Israel, New Zealand, Poland, Portugal, Sweden, Switzerland, Thailand, and the United States, including more than 15 international clients to MLS/NASL/USL.